The new 3200 Series conveyor with Intralox Activated Roller Belt (ARB) Technology is perfect for moving boxes and packages in merging, diverting and aligning applications. ARB Technology uses low and high friction angled rollers within the belt to help smoothly guide and align items of all sizes. This conveyor technology minimizes floor space, increases system reliability, eliminates costly system controls, provides a safer work environment, and can handle products as small as 6” x 6”. 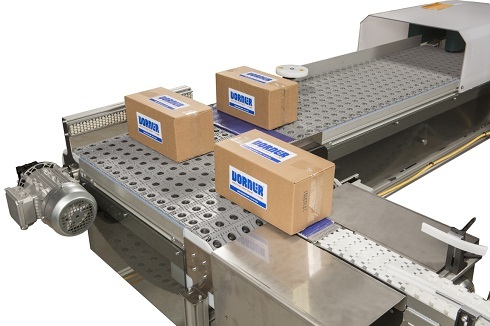 For more information on Dorner’s new 3200 Series conveyors with Intralox Activated Roller Belt (ARB) Technology, visit the ARB Product Page.